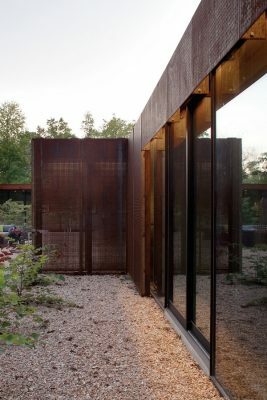 Aptly named, Heavy Metal is a steel clad private residence that sits on eight acres of heavily wooded terrain. 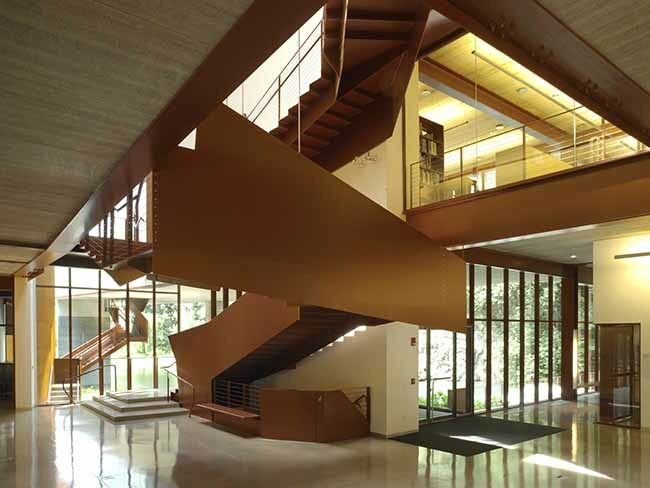 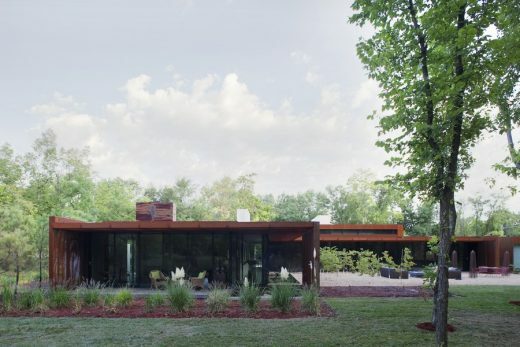 As an owner of a steel manufacturing facility, the homeowner wanted a residence to reflect his distinctive family business and his personal artistic background, but also become a “forever-home” for him and his family. 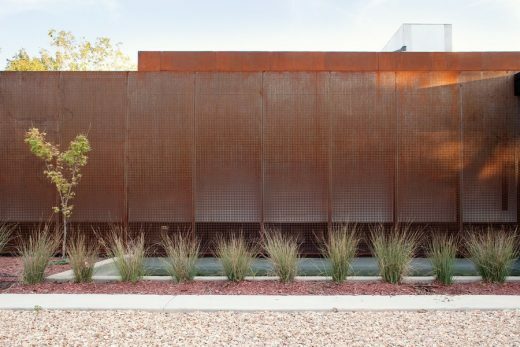 As an industrial entrepreneur, steel is introduced as an element to add a level of interest and texture from the inside out. 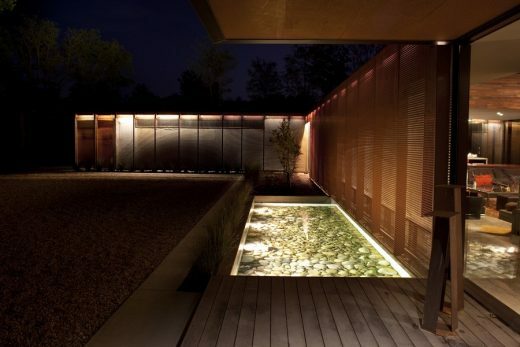 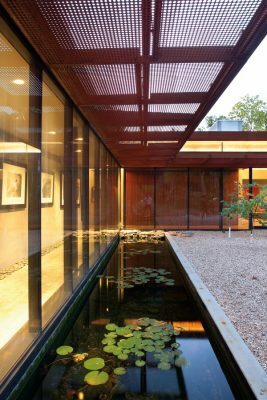 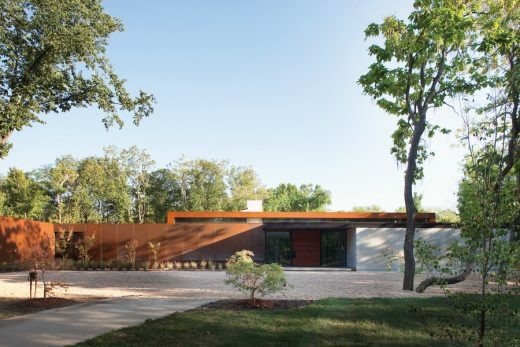 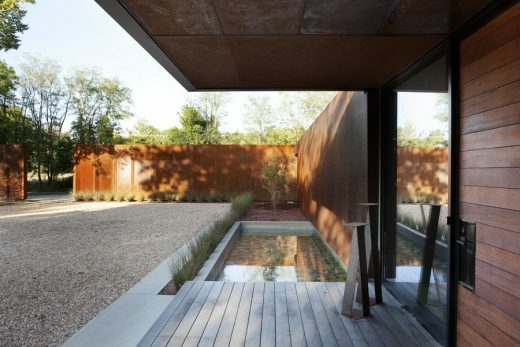 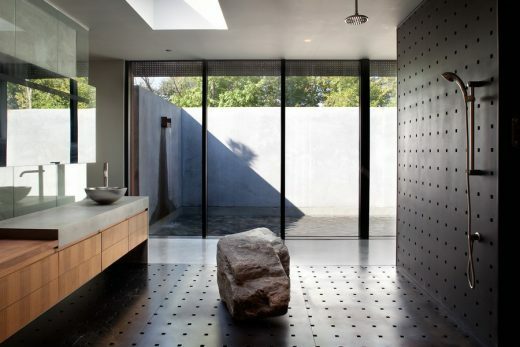 The hot-rolled steel on the interior of the home is blackened and maintains a natural “grain”, while outside the exposed custom perforated panels are allowed to rust, bringing out the natural warm reds of the steel’s iron oxide. 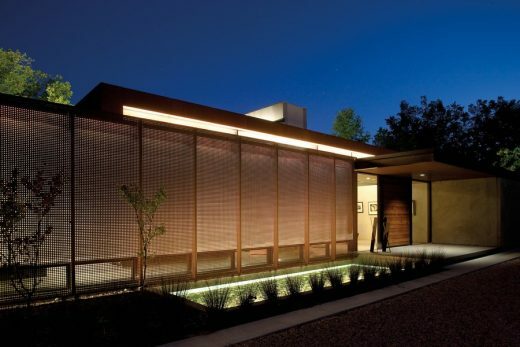 Being a single-level dwelling the home is easy to move through. 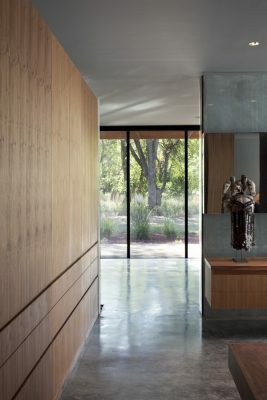 Neutral walls and floors facilitate a gallery-like space that showcases the client’s art collection. 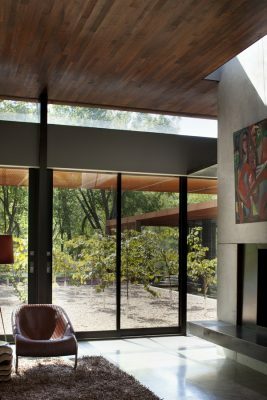 Warmth and texture is introduced into the spaces through natural elements and furnishings that interact with the user and relate to the home’s exterior context. 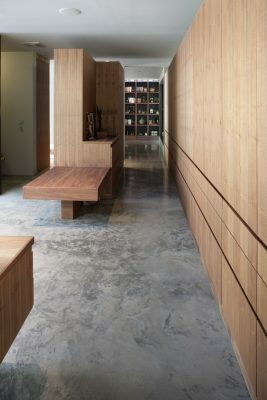 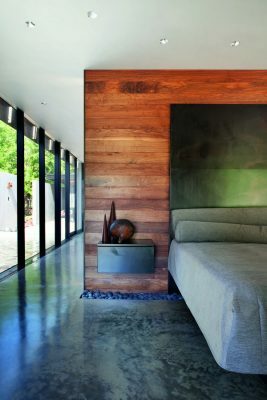 Heavily textured rugs break up vast expanses of concrete floor while walnut wraps selected vertical and ceiling planes for added richness and warmth. 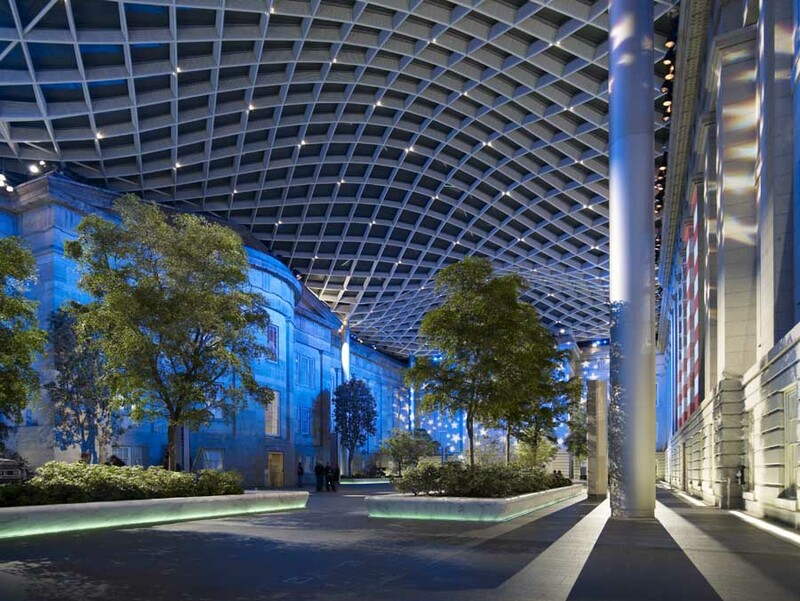 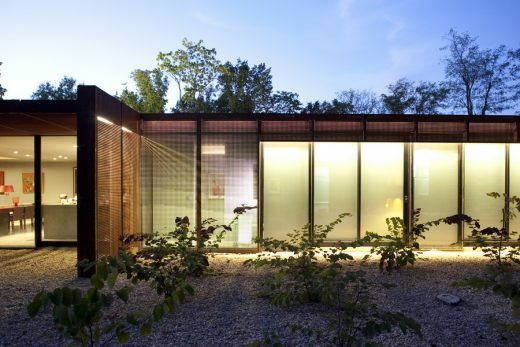 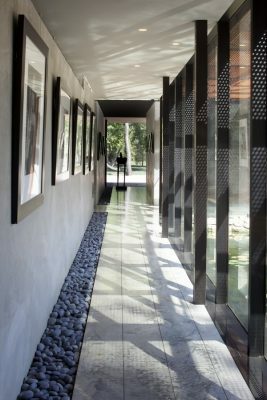 Natural light filters through the exterior perforated panels in the daytime and likewise in the evening the light from the home softly glows through the exterior skin. 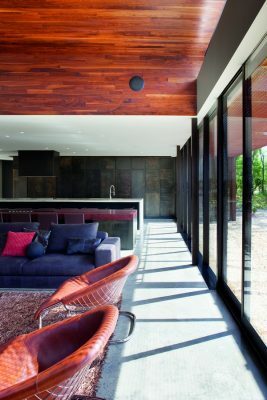 A careful combination of indirect cove lighting and aggregate task lighting help maintain the calm aesthetic of the residence and further define the spaces in the otherwise open floor plan.